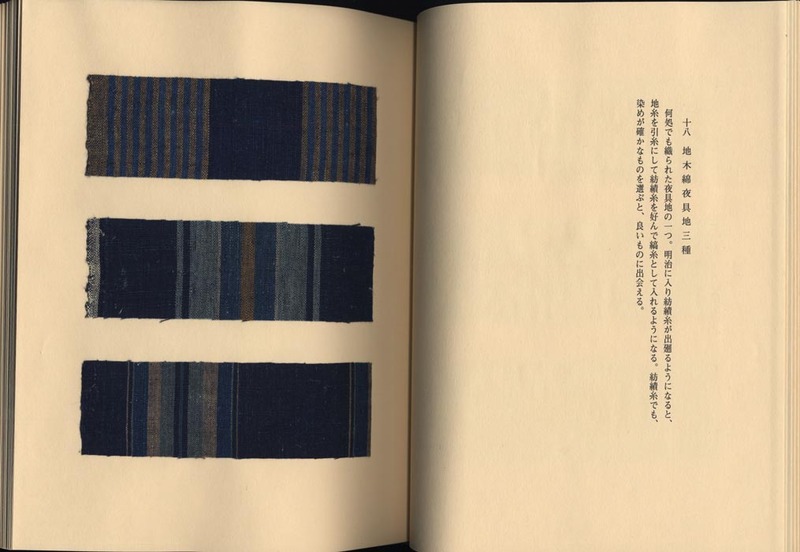 Title: Momengire shu (Collection of cotton fragments). Two volumes, complete. 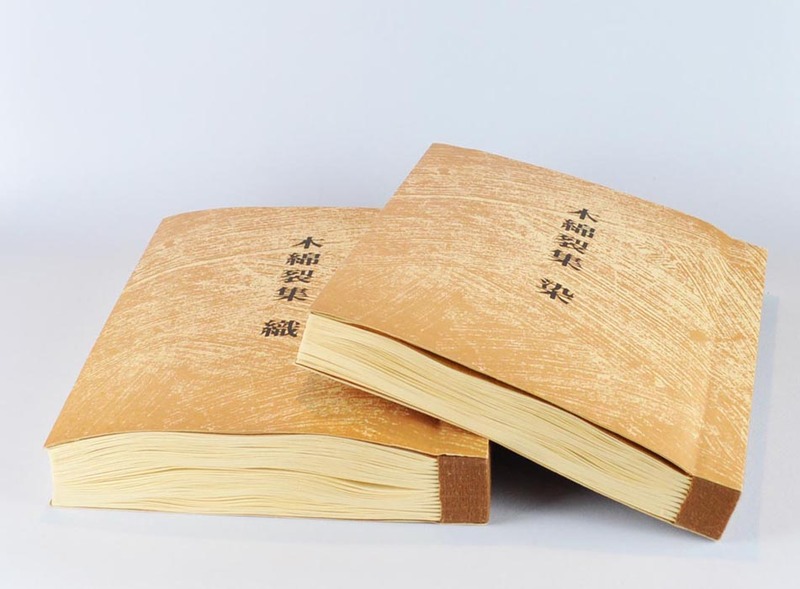 Description: The two volumes contain 261 tipped-in fragments of antique cotton textiles mainly from Japan but also from China, India and other Asian countries. 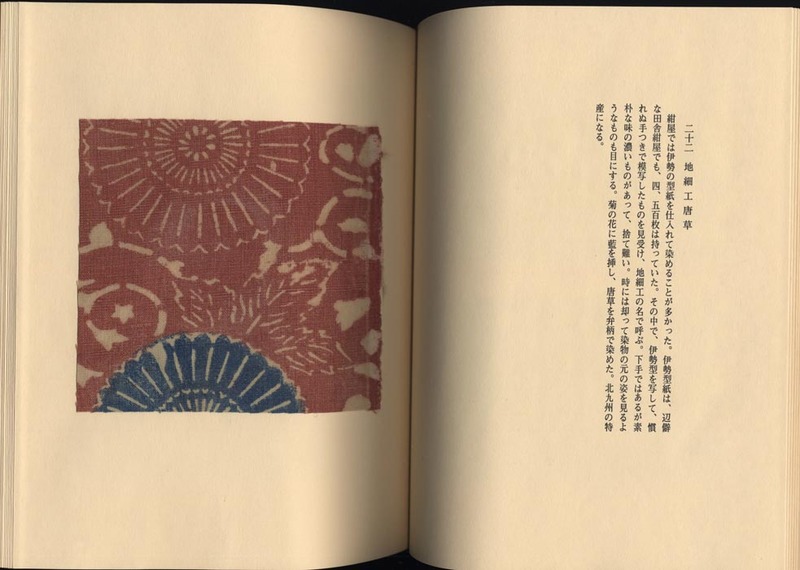 The first volume is devoted to dyed cotton decorated in katazome, tsutsugaki and shibori with some example of Indian sarasa. 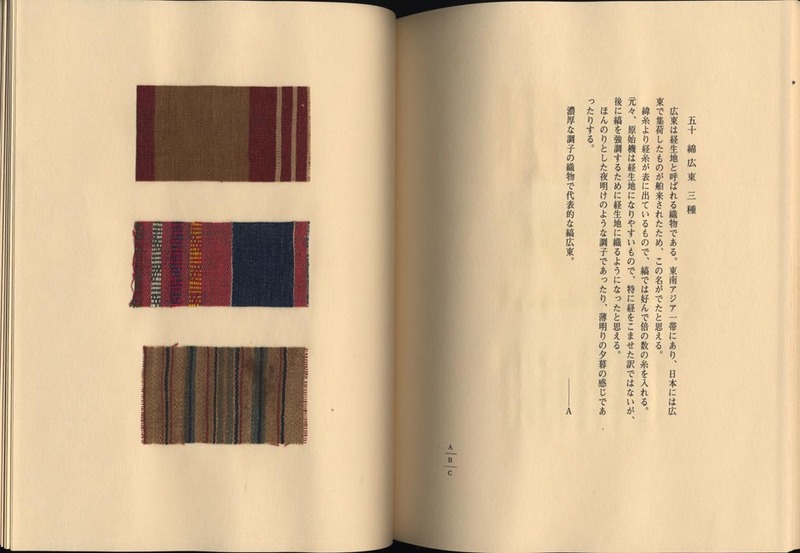 The second volume contains examples of woven textiles like kasuri (ikat). 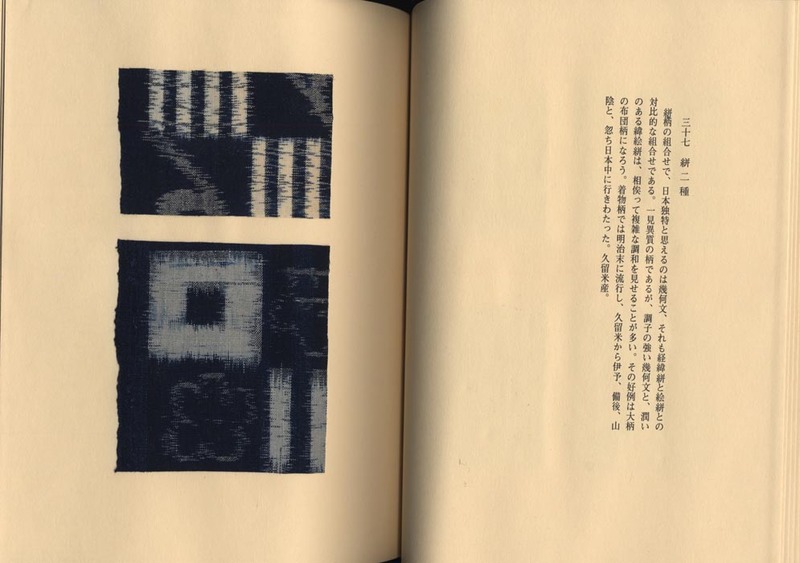 Each page with textile is faced by a page of text. This copy is no. 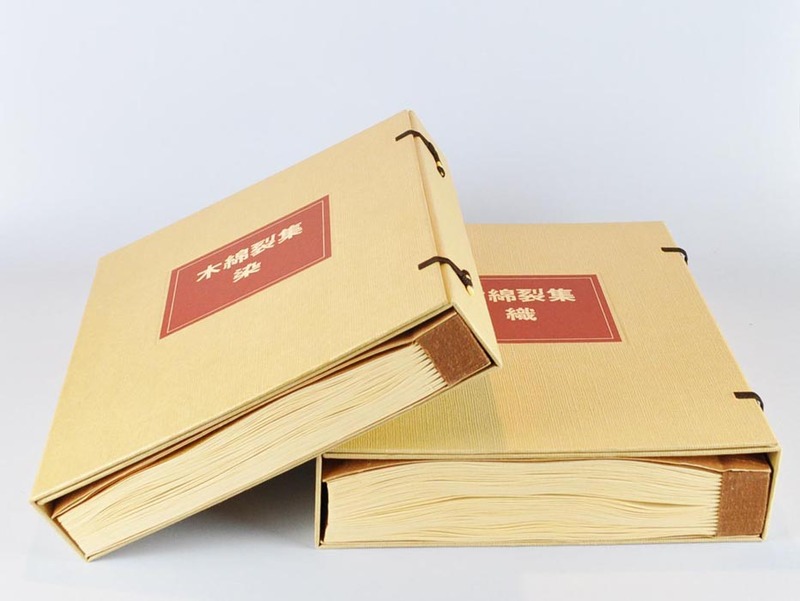 60 of a limited edition of 100 copies. 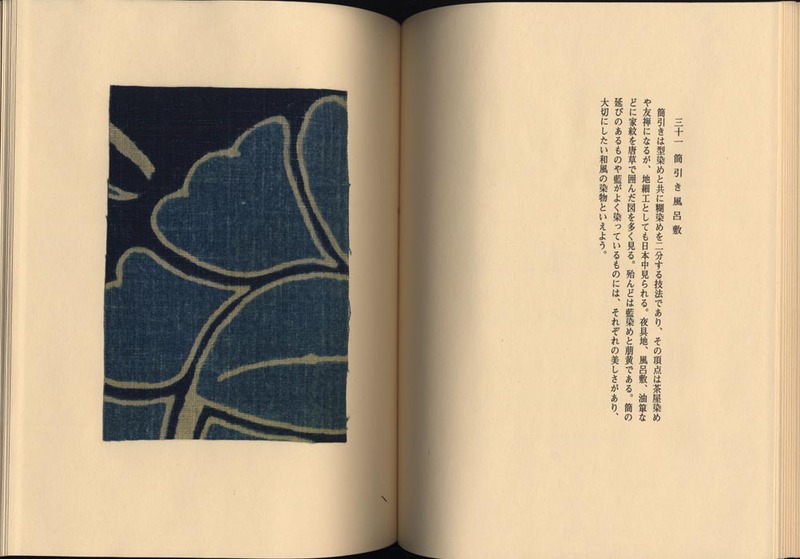 Okamura Kichiemon was, in his early years, pupil of the textile artist Serizawa Keisuke (1895-1984), and became an artist and scholar involved with the Mingei movement. 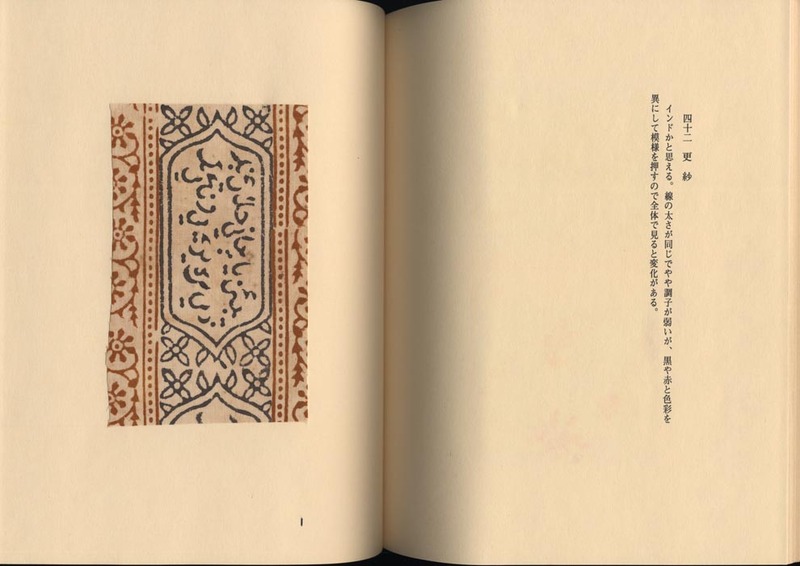 He did publish several books on Japanese folk crafts, ceramics, traditional textiles, Ainu costume and the arts of Okinawa. Date: Published in 1976. 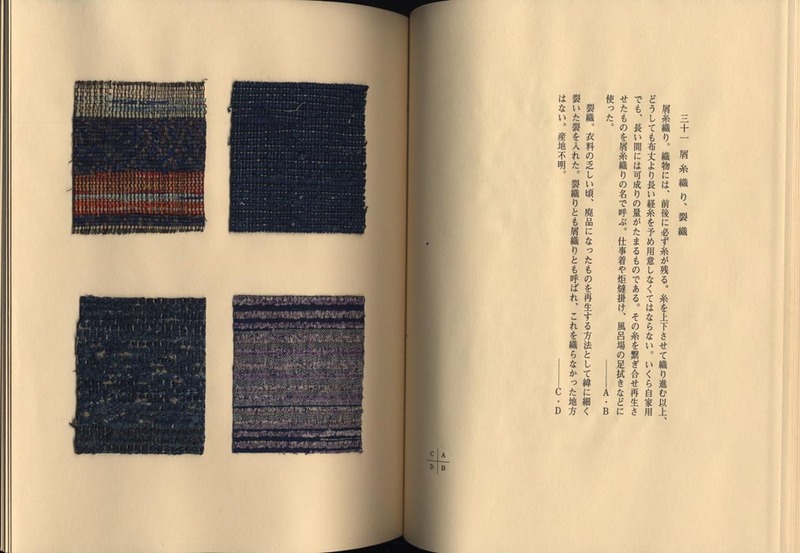 The textiles samples are 19th and 20th century. 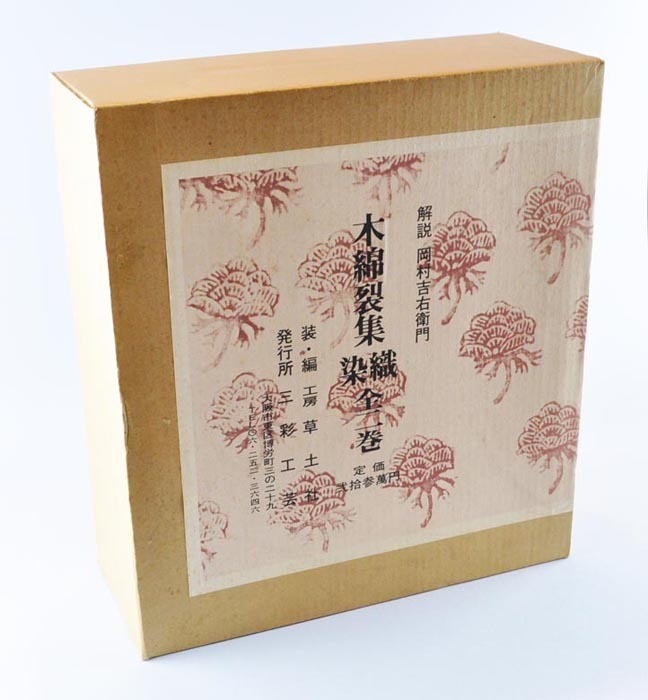 Size: The two volumes are bound in Japanese style with double clam-shell box. 29 x 25,5 cm. 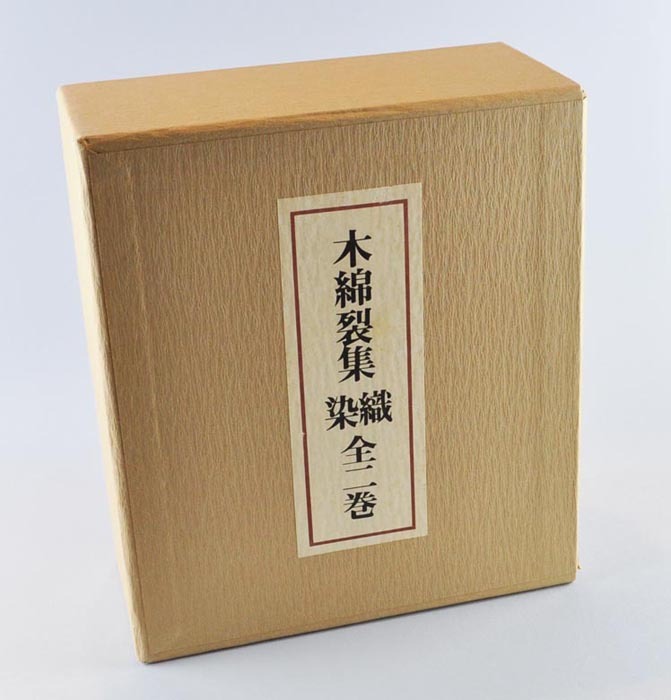 Remarks: A scarce deluxe edition.